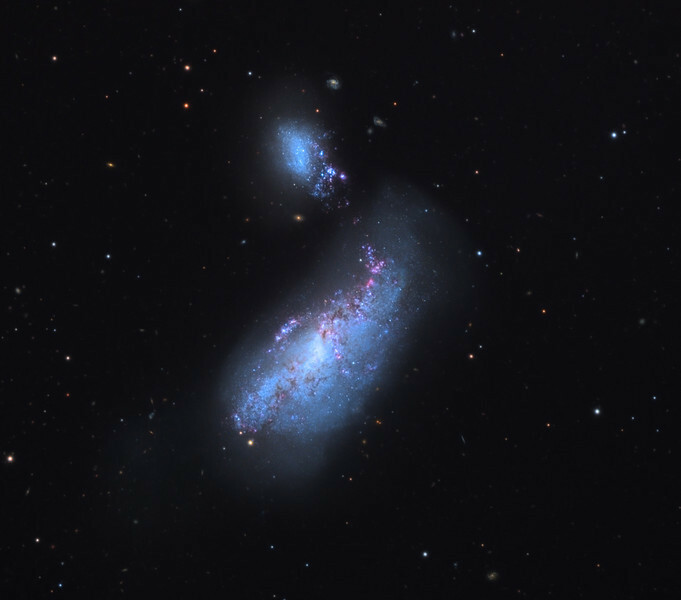 NGC4490 (lower) and NGC4485 (upper) colliding galaxies, also known as Herschel H197-1 and H198-1 respectively. The pair are in the Arp catalog of "peculiar galaxies" as Arp 269, a bridging galaxy duo. 32 inch Schulman telescope with STX camera on Mt. Lemmon, AZ. Data capture and reduction by Adam Block, University of Arizona. LRGB processing by JDS using CCDStack and Photoshop CS6.